Find answers to the 10 trivia questions below. Send an email to secretsofthespiral@hotmail.com with "Trivia Contest" in the subject line. Include all 10 answers in your email. Please also include your Wizard101 or Pirate101 name. DO NOT include any personal information! All entries must be submmitted by 12:00pm eastern on Monday, April 15, 2013. The winner will be announced shortly after. Everyone who answers all 10 questions correctly, and follows all the guidelines listed above, will be entered into a raffle for the gift card. When creating a pirate, what are the 5 causes of being orphaned, and which companion do you get for each cause? 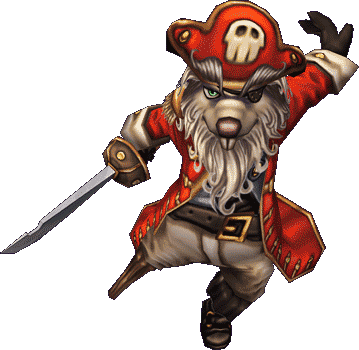 When did the Pirate101 headstart begin, and when was the official release date? Tell me the locations of any 3 training tomes in Pirate101. What classes are Bonnie Anne, Ratbeard, and El Toro? Which 2 worlds haven't been released yet, but have stormgates in the game already? Which pet is the reward for the Mooshu Mystic badge? Which worlds in Pirate101 have Prospector Zeke quests, and what items does he have you find in each world? How many skyways are in Cool Ranch? *Edited to add* I have decided to let people have a second chance. So if you answer any of the questions incorrectly the first time, I will email you and tell you which ones need to be corrected. Each person only gets 2 chances though, so make sure to take your time! Good luck to everyone who enters! And remember to have fun!